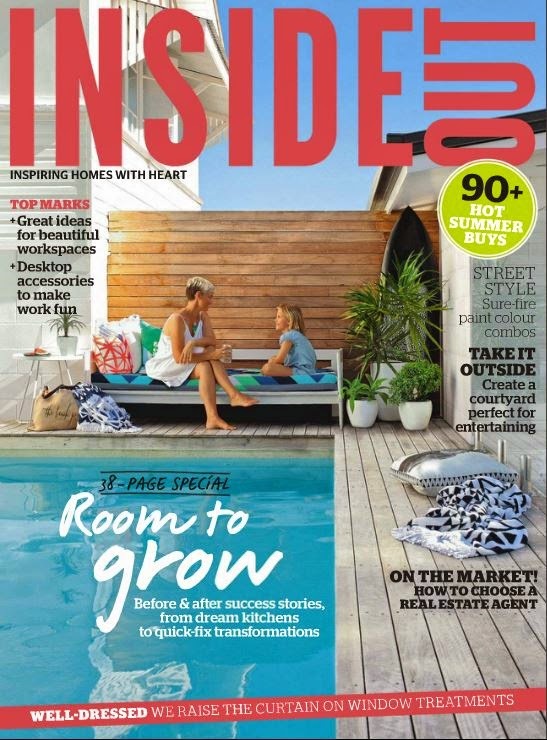 One of Australia's best interiors magazine, Inside Out delivers inspiring homes, clever design ideas and practical decorating solutions. Discover the latest homewares trends, stunning outdoor spaces, and what's new for the living room, kitchen, bathroom and garden. January’s edition of Inside Out includes an exciting 38 page feature, room to grow, looking after ‘before’ and ‘after’ projects, including dream kitchens and quick fix transformations. Also, get the latest tips on how to create the ideal outdoor space for entertaining guest, as well as the latest colour combinations for the summer season. Plus, don’t miss out on how to brighten up your workspace for 2015!